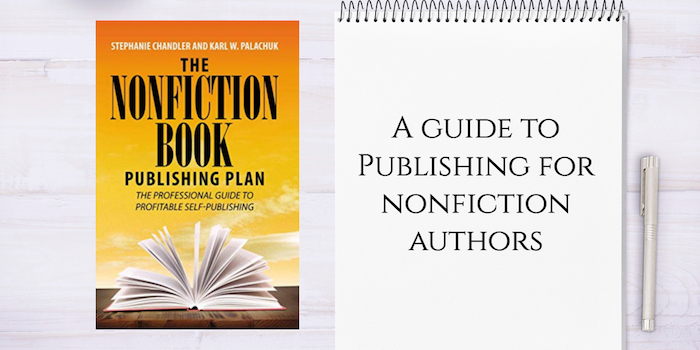 The Nonfiction Book Publishing Plan by Stephanie Chandler and Karl W. Palachuk is a comprehensive guide to publishing a nonfiction book, filled with great advice for indie authors. This is now my go-to book to recommend to new and aspiring nonfiction authors. When I decided to self-publish my first book in late 2014, I read everything I could find on the subject. Some of it was helpful, some was terrible. One book that guided me was Guy Kawasaki and Shawn Welch’s APE: Author, Publisher, Entrepreneur – How to Publish a Book. Published in 2012, it was still useful in late 2014. The world of publishing changes pretty quickly. Even then, it didn’t answer all of my questions. I’ve been learning about being an independent publisher ever since. In nonfiction publishing, one size doesn’t fit all. Every author needs to figure out the right path for their own subject matter, audience, abilities, and purposes. When I heard that Stephanie Chandler and Karl Palachuk were working on a book, I did a happy dance. Stephanie is the CEO of the Nonfiction Author’s Association, so she knows what’s she’s talking about and she’s focused on nonfiction. Reading the book only confirmed my excitement. 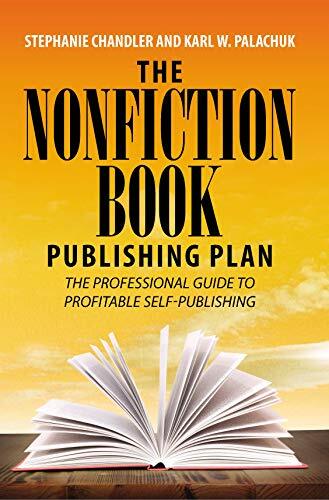 The book covers the nuts and bolts of being an indie nonfiction author, from conceiving of your idea and finding your niche to writing the draft, publishing, distributing, launching, and more. The chapter on Author-Publisher business operations gives a glimpse into the realities of the gig. Seriously, this is a gold mine of solid advice. The book helps you make the right decisions by thinking beyond the printed product to your business as a whole. Nonfiction authors, in particular, need to take this broader view. The independent path offers both advantages and challenges for nonfiction authors. This book covers that decision thoroughly. If you’re thinking of writing a nonfiction book, educate yourself. The Nonfiction Book Marketing Plan is the perfect resource to do that. It will help you figure out your path, and will alert you to possibilities you hadn’t thought of. The book will be released September 26. * Preorder it on Kindle or in print today. *I received an advance review copy of this book.